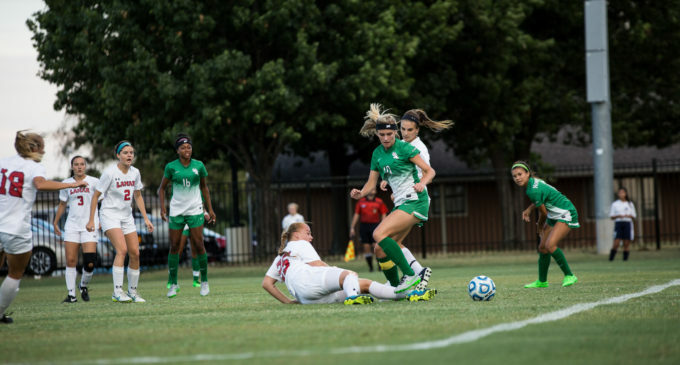 The Mean Green soccer team came away with a 0-0 tie on the road against Marshall University (7-1-2, 0-0-1) in its first match-up against a Conference-USA opponent this season. As a result, both teams retain the top two positions in the C-USA standings. Head coach John Hedlund said the result was fitting, considering North Texas faced off with a team he knew was talented, especially at home. “When you have two teams colliding with the top records and RPI in the conference, you just know it’s going to be a defensive battle,” Hedlund said. In a back-and-forth first half, North Texas (8-2-1, 0-0-1) finished behind Marshall in shots 6-4 and 2-1 in corner kicks. Its best chance to score was in the last five minutes before halftime, as the Mean Green attack had one shot saved and had another bounce off the post shortly after a corner kick from senior midfielder Karla Pineda. Despite playing much better in the second half, North Texas kept things knotted up at 0-0 to force overtime for the second straight game. The Mean Green had eight shots and seven corner kicks in the second half. Only one shot was on goal, coming from junior forward Rachel Holden in the 61st minute. Each 10-minute overtime period was a competitive battle. Only two shots were fired, both by Marshall. The entirety of the game only saw five saves, three coming from senior goalkeeper Jackie Kerestine. Holden was the key contributor on offense, getting off a team-high three shots. Junior midfielder Alexsis Cable and freshman forward Taylor Torres had two apiece. This marks the first time North Texas has gone two games without a win this season. Head coach John Hedlund’s defense continued to make things tough for the opposition, not allowing a goal for the eighth time in eleven games thus far. 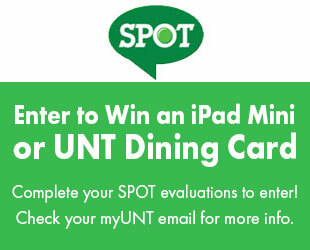 The Mean Green will have to wait a week for its next game, a Friday night match-up in Denton versus Florida Atlantic University. The game will begin at 7 p.m.